The end is nigh, unless we drastically reduce the rate of our greenhouse gas emissions within the next few years that is. The landmark report from the United Nations’ scientific panel on climate change, released earlier this month to a combination of shock and abject terror, revealed conclusively what many in the scientific community have been saying for years: that the immediate consequences of climate change will be vastly more devastating than previously thought. Though it is technically possible to achieve the rapid adjustments required to an avoid atmospheric temperature rise of 2.7 degrees above pre-industrial levels (the new threshold for the most severe and potentially irreparable effects of climate change), having men like Donald Trump and Jair Bolsonaro at the helms of two of the largest greenhouse gas emitting countries in the world pushes this already remote possibly into the realms of fantasy. Now if, in 2018, you require a science fiction novel to remind you of the single greatest threat facing humanity, then you really have not been paying attention and should probably turn on the (not Fox)news once in a while (ideally before November 6th). 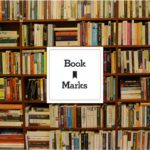 Still, cli-fi may very well end up being the defining literary genre of our era, and it’s interesting to look back at the ways in which some of the most inventive and prophetic authors of recent decades imagined the kinds of futures that may lie in store for us if we continue down our current path. We’re deep into Fall now, and both the days, and the years to come, look darker than they have in a very long time. Why not curl up with an appropriate book? Below you’ll find ten our our favorite cli-fi novels, each accompanied by an early review. Have we omitted one of your favorites? Let us know in the comments. A team of scientists researching ongoing environmental developments in a flooded, abandoned London in a post-apocalyptic future where global warming has rendered most of the world’s cities uninhabitable. “In J.G. Ballard’s new book we have something without precedent in this country, a novel by a science-fiction author that can be judged by the highest standards. To my knowledge this level has yet been attained by only two American writers, Algis Budrys and Walter M. Miller. 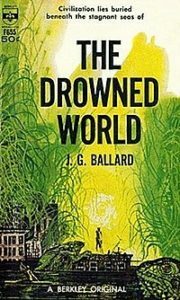 Mr. Ballard may well turn out to be the most imaginative of H.G. Wells’ successors, although he has expressly repudiated Wells as an influence. “The setting is among the super-tropical swamps, lagoons and jungles that, as a result of the increase in the sun’s heat, now cover most of Earth’s surface. Plant and animal life is reverting to the giant bamboos and reptiles of the Triassic Age. Among the members of a survey team, sent south from Greenland to determine whether parts of Europe may someday be reclaimable, a parallel but far more complex and disturbing regression can be glimpsed. “Those so affected share a recurrent dream in which they appear to be reversing the process of their birth, losing their identity in a warm sea that is at once the uterine fluid and the primeval ocean from which life emerged. In their waking hours they withdraw more and more irrevocably into the consciousness of their remote biological past, and the book ends with the hero’s departure on a lone trek southward toward some kind of paradisal graveyard of the species. “There is plenty of drama, notably after the arrival of a diabolical free-booter, bone-white in a world of darkened skins, whose ship is crammed with salvaged alter-pieces and equestrian statues and whose entourage consists of a band of half-civilized negroes and a pack of quarter-tamed alligators. By his agency the main lagoon is drained and a Walpurgisnacht enacted among the slime-coated buildings of what proves to be Leicester Square. But the main action is in the deeper reaches of the mind, the main merit the extraordinary imaginative power with which whatever inhabits these reaches is externalized in concrete form. The book blazes with images, striking in themselves and yet continuously meaningful. 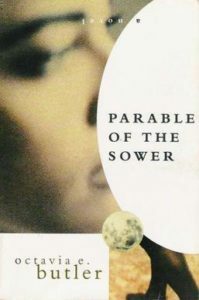 Perhaps the most iconic work from the Hugo and Nebula Award-winning science-fiction writer, a novel about a young black girl with “hyperempathy” living in a 2020s America where socioeconomic inequality, corporate greed, and climate change has caused a complete societal collapse. 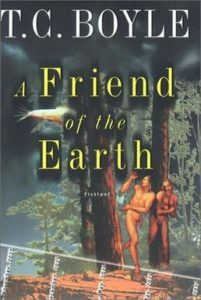 Flashing between the year 2025 (when environmental destruction has rendered biodiversity a thing of the past), and the 1990s, a novel about Tyrone O’Shaugnessy Tierwater, a middle-class single father who evolves into an environmental radical and ultimately sacrifices his own daughter to the Earth Movement. “A Friend of the Earth skitters between the crucial ‘last chance’ decades in Boyle’s doom-teleology—the 1980s and 1990s—and 2025, when the former deserts of California have been freak-weathered into swamps, traffic inches along over-burdened freeways and the bedraggled remnants of the Earth’s wildlife have been repatriated from their now inhospitable natural habitats to the safari park of an ageing pop star millionaire, Maclovio Pulchris. “Boyle turns his squinting attention to environmentalism, creating a disconcerting marriage of farce and prophecy: he doesn’t doubt the looming apocalypse; he merely doubts—finds hilarious, even—the idea that the human race would do anything to save itself. This is a comedy of old men stumbling through flooded carparks, destroying the cowboy boots they put on in a moment of vanity. The first novel in Atwood’s dystopian “MaadAddam Trilogy,” about a global pandemic which has caused the end of mankind, and the small group of survivors who are left to shepherd a new race to inherit the world. 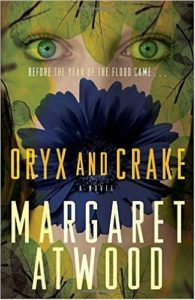 “In her towering and intrepid new novel, Oryx and Crake, Atwood, who is the daughter of a biologist, vividly imagines a late-twenty-first-century world ravaged by innovations in biological science. Like most literary imaginings of the future, her vision is mournful, bleak, and infernal, and is punctuated, in Atwood style, with the occasional macabre joke—perhaps not unlike Dante’s own literary vision. 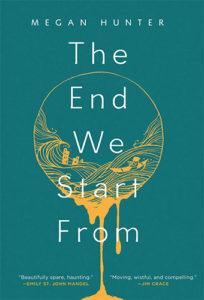 “In the novel’s whimsical fantasies of biological evolution and technology, one can discern the dark left hand of Ursula K. Le Guin, and in its shrugging, eschatological amusement it channels the spirit of Kurt Vonnegut. In fact, the sick joke and the botched experiment are offered up as rough equivalents and become, through the technical alchemy of the novel, a kind of trope for life itself. Seventeen years ago, Mary McCarthy, reviewing The Handmaid’s Tale, found it unconvincing as a jeremiad: ‘Surely the essential element of a cautionary tale is recognition. . . . It is an effect, for me, almost strikingly missing’ … But a dystopian novel is not intended as a literal forecast, or even necessarily as a logical extension of our current world. It is simply, and not so simply, a bad dream of our present time, an exquisitely designed horror show in which things are changed from what we do know to a dream version of what we don’t. Atwood does this well. To ask a novel to do more is to misunderstand its nature. Besides, given what is known about fish-gene-enhanced tomatoes—or those genetically modified goats that produce spider silk—the biologically reëngineered world of Oryx and Crake ceases to seem very far-fetched. A novel set in rural Tennessee during a period of unseasonable rain. A young wife and mother stumbles upon millions of monarch butterflies in a field near her home, and her incredible but troubling discovery energizes various competing factions—religious leaders, climate scientists, environmentalists, politicians—trapping her in the center. 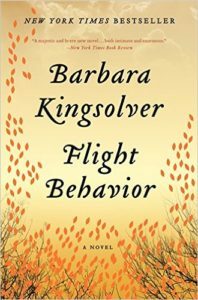 “All sorts of ‘crazy wanting,’ both prosaic and earth-shattering, are shot through the intricate tapestry of Barbara Kingsolver’s majestic and brave new novel, Flight Behavior. Her subject is both intimate and enormous, centered on one woman, one family, one small town no one has ever heard of—until Dellarobia stumbles into a life-altering journey of conscience. How do we live, Kingsolver asks, and with what consequences, as we hurtle toward the abyss in these times of epic planetary transformation? And make no mistake about it, the stakes are that high. Postapocalyptic times, and their singular preoccupation with survival, look easy compared with this journey to the end game. “The region’s almost biblical rainstorms have the local people invoking Noah. Rivers overflow their banks, trees are uprooted, slabs of mud slide down mountains—and then comes the miraculous arrival of a colony of migrating monarch butterflies, its flight plan, evolved over centuries, thrown off by the chaotic weather patterns of a warming Earth. Now nothing is on firm ground. The story of a young couple trying to navigate a post-apocalyptic California, where severe drought has transformed the landscape into a wasteland. The first novel in N. K. Jemisin’s multi Hugo Award-winning Broken Earth Trilogy, set on a planet with a single supercontinent called the Stillness. 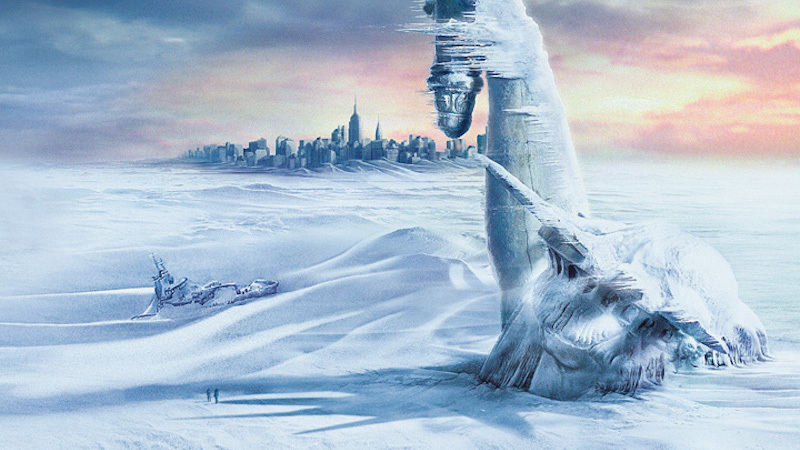 Every few centuries, its inhabitants endure what they call a “Fifth Season” of catastrophic climate change. “N. 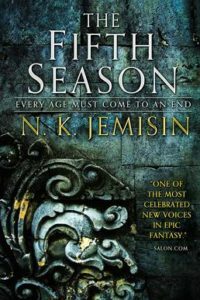 K. Jemisin’s intricate and extraordinary world-­building starts with oppression: Her universes begin by asking who is oppressing whom, what they are gaining, what they fear. Systems of power stalk her protagonists, often embodied as gods and primeval forces, so vast that resistance seems impossible even to contemplate. The year is 2074. Oil is outlawed, that Louisiana is half underwater, and that unmanned drones fill the sky. 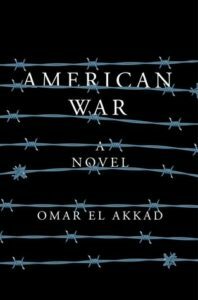 El Akkad’s dystopian novel is about a second American Civil War, a devastating plague, and one family caught deep in the middle—a story that asks what might happen if America were to turn its most devastating policies and deadly weapons upon itself. [American War] is proof of the premise that while philosophy can urge contemplation, it is fiction that can lure us into compassion … The world of American War is a prophetic one, with loss and privation and conflict the cornerstones. It is also a compelling one, the warp and weft of its details constructing a universe whose internal logic is as convincing as any real-world account. All of it can be chalked up to Akkad’s mastery of detail, his depiction of an ecological collapse hastening the end of human compassion, filial feeling, normalcy, beauty, and possibility The challenge of a dystopian novel is to imagine that what we all feel is imminent but cannot, for want of imagination or articulation, envision as a whole. American Warmeets this mark and reaches further. The depletions being inflicted on the environment by fossil fuels, the sinking of coastal lands, the ascendance of a singular fervor for exclusion and intolerance, the killing of unknown others by remote control and known others by torture and targeting are all realities of our world that we have somehow accepted. It is the costly consequences of this acceptance projected into a distinctly American future that Akkad lays out for us in the novel-scape: we are moved to consider the moral cost of not grieving for those whose lives remain too remote from our own, Akkad inverts and presents us with faraway sufferings now imposed on familiar faces, known geographies, resonant names … It’s a species of fear we could do with more of right now. 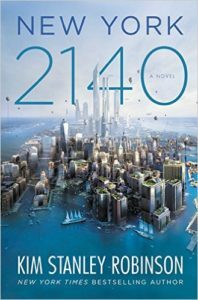 A novel set in New York in the year 2140, focusing on several residents of an apartment building in Manhattan after global warming has caused almost all of the world’s coastlines to go underwater. 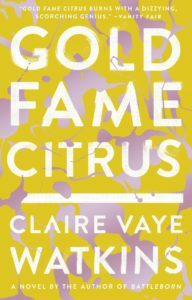 A Cli-Fi debut novel about new motherhood, birth and renewal. As London is submerged below floodwaters, a woman gives birth to her first child, Z. Days later, she and her baby are forced to leave their home in search of safety. They head north through a newly dangerous country seeking refuge from place to place.